Alissa is a huge advocate of the Wollongong lifestyle. Born, raised and educated here in the Shellharbour municipality, she and her husband are now raising their two young children in their own slice of our beautiful coastal haven. Alissa has travelled the world but always understood the importance of ‘home’; a concept that guides her interactions with buyers and sellers. Alissa is a qualified solicitor, which means that she is a skilled negotiator, with a clear-mind and meticulous attention to detail. But it’s Alissa’s primary strength in understanding peoples’ needs that truly sets her apart. Alissa is deeply aligned with our corporate value “people first”, having come to our firm following a career dedicated to promoting social inclusion for some of the most vulnerable people in our community. We are very fortunate that Alissa has decided to pour her considerable talents into helping locals reach their property goals. If you’re interested in someone who is both personable and can help you navigate today’s property market, get in touch with Alissa today. 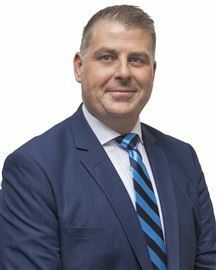 Commencing his real estate career in 2002, Ben Frawley has earned a reputation for achieving outstanding results for his vendors over an extended period of time. Building a career within the industry based on ethics, integrity and customer care, Ben strives to reach the balance of maximising the sale price achieved for his vendor’s property whilst treating buyers with respect, care and understanding. Educated in Shellharbour Village at Stella Maris Primary School and undertaking his secondary education at St. Joseph’s Catholic High School Albion Park, Ben has seen the Shellharbour City region grow from the Coast to the Escarpment. His knowledge of the area is second to none and he prides himself on passing on the knowledge of the area to the Sydney Metropolitan and out of area buyers to achieve higher sale prices for his vendors. Communication is the key to Ben’s success and his philosophy of consistent contact with his clients means that there selling and buying experience is as stress free as possible. Ben believes that the role of a skilled real estate professional is to provide clients with solutions not problems, hence his success and longevity in the industry. Ben’s decision to join the team at Harcourts Shellharbour City/Albion Park was made easy by the fact that the company subscribes to the same ideals and philosophy’s that he has based his career on. The opportunity to be located in the heart of Shellharbour Village will enable Ben to assist Sellers and Buyers in an area that he has known as seen grow from a seaside village to a thriving city. Ben has strong ties to the community and enjoyed a long and successful Rugby Union and Rugby League career both locally, in Sydney and the United Kingdom. His career has spanned the Legal Industry and Investment Banking in London before transferring his unique skillset to the real estate industry. He looks forward to continuing to provide outstanding service to his clients and believes that his down to earth approach and inclusiveness in the sales process creates lifelong clients and friends. Daniel Dajcic is the proud Licensee-In-Charge and senior sales agent at Harcourts Kiama. Renowned for his energy and passion coupled with his extensive knowledge of the Kiama market and proven track record, Daniel leaves no stone unturned in the pursuit of achieving stellar results with his unbeatable customer service. Having lived in Kiama virtually all his life there are few other agents that can match his insight into Kiama’s market conditions. With over 8 years local Real Estate experience Daniel is a licensed Auctioneer and services the community as a registered Justice Of The Peace. A skilled communicator and natural rapport builder Daniel strongly believes displaying integrity and transparency are the key foundations of building positive client relationships. Daniel looks forward to sharing his dynamic persona and love for Kiama with both current and future clients. Harcourts Shellharbour City / Albion Park welcomes James Mahony to their Award-Winning Sales team. Living locally with his young family James brings a wealth of experience and dedication to the team after years of operating in the property sector throughout Sydney, Dubai and Belgium. James began his career in NSW and has conducted dealings within some of the most complex buildings and Real Estate in Australia, his passion and drive has allowed him the opportunity to manage sky scrapers in the United Arab Emirates (Dubai), following three years in the Middle East, James has established a company in Belgium and managed a number of the finest architectural buildings in Europe. James has had extensive property experience spanning over 17 years and is eager to bring that experience and knowledge to the Illawarra region to best serve his clients. James is one of only a few agents holding both a Real Estate License and Strata Management License, having this level of experience and internal knowledge within all sectors of the property field, this will clearly give him a distinct advantage to ensure that all clients are comfortably assisted throughout the journey of the Sale and Purchase of their family home. Simply call James directly for all your Real Estate needs. Having established his Real Estate career on the beautiful mid north Coast of NSW, Jarath was presented the opportunity to work alongside Director Daniel McConnell... which has proven to be an extremely efficient combination! Known for his down to earth, friendly nature & positive approach, Jarath is determined to build a formidable reputation for creating an environment for deals to happen. Jarath maintains & improves on relationships with buyers & vendors by offering exceptional service, strong communication skills with absolute transparency & a positive, hands-on attitude. Jarath's strong work ethic & dynamic attitude ensures a bright future in Blue. 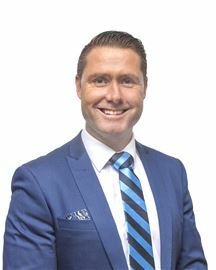 My name is Owen Taylor and I am delighted to have recently started my career in Real Estate joining the team at Harcourts Shellharbour City / Albion Park within the sales department. I have come to Harcourts with a strong drive and passion for Real Estate, focused on quality of service in which I can provide to my clients in a genuine, relaxed and honest manner to ensure a smooth and stress free process of either selling or buying a home. I have lived my entire life in the Illawarra and have a strong understanding of the area and my community. Being a family man, my wife and children are my greatest motivation and an enormous support in striving to reach my goals within the Real Estate industry. I believe a house is not made up of just four walls and a roof, rather a place in which memories are created and shared within moments that define the meaning of a 'Home'. It is for this reason that I believe in personalising the experience in which I give to each and every one of my clients. I would be honoured to help you with any property requests that you may have should the opportunity arise. Ron appreciates that the selling and purchasing of properties can be a difficult time for anyone. He understands that a person’s home is one of their greatest assets and this is why he makes it his personal mission to ease the burden of this process by working tirelessly for his clients. He displays a high level of integrity, transparency and trust. Ron’s strength is his excellent interpersonal skills and ability to build rapport with everyone he meets as well as his knowledge of the local market and the surrounds. He prides himself on being able to achieve the best possible selling price, in a reasonable time and providing a care free real estate experience for his clients. Ron has lived in the Illawarra region his entire life and currently lives in Albion Park. He attended local high schools and Wollongong University as well as playing in local sporting groups and involved with the local church. Ron is also involved in fundraising for local Rotary, Lions clubs and community groups. His greatest gift in life is his two daughters aged 12 and 9 who also attend local schools and are involved in local soccer clubs and dancing groups. He is passionate about the community and the people that live in it. Highly reliable and approachable, Anne-Marie is dedicated to providing an exceptional standard of client care. With over 25 years of professional experience which has included a Customer Service Managerial role, Strata Management and all facets of Real Estate, Anne-Marie is able to combine her skills to provide a service which is unique and truly second to none to her competitor. Her personable nature, empathy for others and natural ability to make people feel at ease, ensures her clients needs are upheld to the highest standard, and a premium outcome is achieved. 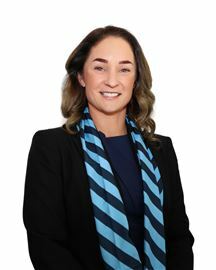 Anne-Marie made the decision to align herself with the fastest growing real estate brand in Australia, Harcourts, as the company values closely mirror her own personal and professional values. Having grown up in the area and also making the choice to raise her daughter locally clearly highlights her passion for the Illawarra, this in conjunction with her knowledge of the area puts her in great stead to sell the lifestyle our pristine South Coast promises. Brooke has an intimate understanding of Property Management with over 12 years experience in the Industry. A true all-rounder Brooke has mastered many facets within a high paced Real Estate environment. 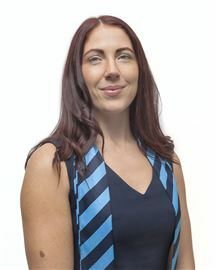 Through her extensive work in Reception, Administration, Sales Secretary, Marketing and Senior Property Management roles Brooke really appreciates that each client is unique, diverse and has individual and specific needs. Communicating in a timely manner, a firm rapport with tenants and building personalised yet professional relationships with our landlords ensures your investments are managed to their full potential with Brooke as your Property Management specialist. These things combined with a passion for precision, presentation and an excellent, energetic work ethic guarantee Brookes success within this team. Julie Riebesehl has spent the last 15 years growing and developing within an International Prestige company based in Sydney where customer service, integrity, loyalty and quality control were of the highest priority. Developing in various coordination roles within the company Julie moved into an Executive Management role and quickly took on both the Customer Service and Operations Manager’s roles working these simultaneously for the NSW region for over 5 years. Julie attained and maintained the companies ‘Quality Assurance’ accreditation since its inception & implemented all of the companies policies & procedures for both areas of operation. Dealing with all clients equally, from everyday citizens to Qantas CEO/Executives & having more than 15 internal staff & 45 contractors/subcontractors to manage on a daily basis Julie’s negotiation, service recovery and relationship building skills are paramount to her success. Personally Julie has owned and managed her own investment properties in coastal locations and enjoyed the buying & selling process so much that it inevitably prompted a move into full time Real Estate. Her commitment to fostering relationships with clients puts her in an ideal position to assist in all aspects of Real Estate, treating every Vendor, Purchaser, Landlord and Tenant with equal amounts of courteous and professional respect. Her enthusiasm for Property and a love for the local area is evident in her dealings with clients and her respect for their homes & investments. Casey is a vital link in the Harcourts Shellharbour City / Albion Park team with well developed organisational skills and outstanding attention to detail. Casey always welcomes clients and colleagues with a friendly and courteous approach and takes pleasure in being part of a fast paced and successful team. Casey grew up and currently lives in the Albion Park district and has worked for us for over 10 years, continually training and developing skills that contribute to her success. With a passion for precision, detail & customer care Margaret has serviced various roles within the business since its inception &, like most businesses much of our success can be attributed to her tireless work ‘behind the scenes’. Margaret assisted in our office establishment from the time our doors opened in Albion Park applying her marketing & business development skills. She continues to be an integral part of the team fulfilling important administrative & payroll tasks utilising over 30 years of experience in financial services. Margaret has also privately designed & built homes, bought & sold properties locally over the course of her time with us & has a keen interest in Real Estate, photography & travel external to her work life. Sun, Sand, Surf! Value Packed!